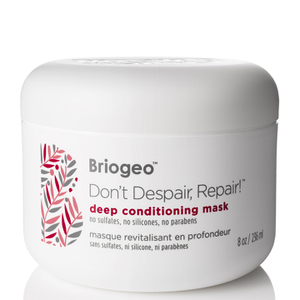 Briogeo Haircare is a brilliant natural alternative to chemical products. Their products are completely free from parabens, sulfates, silicones and artificial fragrances, which makes them a great brand for people who suffer from sensitive and irritated skin and scalps. Their range includes shampoo, conditioner, volumising spray and conditioning treatments to help keep your hair healthy, nourished and protected. Briogeo formulations are made up of plant actives and ingredients, which work together to add volume, body and shine without weighing the hair down.